I first heard about Harbeth from the November 2007 edition of Hi Fi News. They ran a feature on the history of Harbeth. The article covered the company’s history including the loudspeaker cone research project which resulted in the creation of Radial cone material. I always thought a custom designed and manufactured driver cone was a good idea and always held the project in the back of my mind. Fast forward eleven years and I was attending the Bristol Hi Fi show this year. 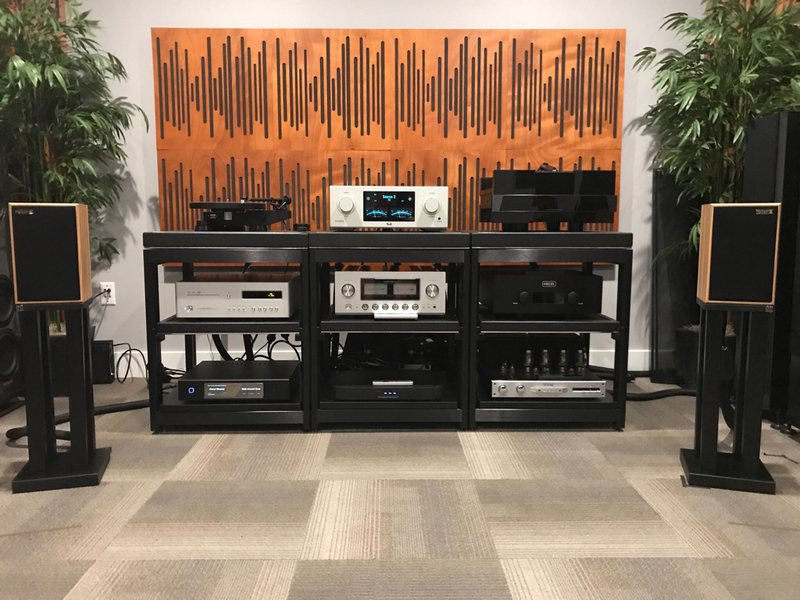 This gave me the opportunity to visit the two Harbeth demonstration rooms. What struck me particularly with the little P3 was how the presentation drew me into the music like a hook. The experience was enough for me to purchase my first P3ESR in Rosewood. However, my wife correctly observed the Rosewood did not match the light wood of Russ Andrews Torlyte stands. I have now replaced then with P3 Anniversary that came in the lighter olive wood. Why change to Harbeth? My previous speakers had an upgrade option to the latest specification. I contacted the manufacturer and gave them details of the options I wanted. Manufacturer said I must go through a dealer. The distributor for the UK was also copied in on the email but never responded to my order request. I think this demonstrates the importance of customer service and to have effective support available when you need it. I spent an amount of time researching speaker placement recommendations. I did not mount and leave but experimented with different speaker positioning. I found that a placement close to side walls with a large spread between speakers was not the best. I settled on a position where the distance between the speakers was 83% of the length of the sides of the triangle from ear to speaker baffle. This gave the best imaging and then toe in was used as a tone control to fine tune the treble presentation. In terms of Hi Fi and audio equipment speakers are so important. They are the ‘window’ of the system and subject to personal taste. System synergy is critical and measures how components interact with each other. Get it right and the result is greater than the contribution of each individual part. On running in Alan Shaw has said that your Harbeth’s will be nearly there in terms of sound quality when you receive them. It is a case of your ear’s getting accustomed to the sound. I am of the view that the internal wiring to the drive units, crossover components and woofer driver basket all need to be run in. My personal notes state that at 70 hours the sound fell into place. This was particularly in relation to bass performance and the ability to reproduce the lower end of the spectrum. What I love is the low listening fatigue. You can listen to these for hours. The treble is sweet and extended. It integrates very well with the Radial 2 midrange/woofer. Offering similar resolution and never fierce like a Wilson metal dome. The midrange is where the real magic is. But then is a speaker principally about midrange reproduction? Vocals are full, crystal clear and extended. You here detail never heard before with everything presented in a natural unforced way. The bass has had me genuinely surprised how low a speaker of these dimensions and cabinet volume can go. I thought I would be sacrificing a lot of bass information but this has not been the case. Playing Trentemoller Evil Dub it’s all there including the deepest bass notes. Physical Fraction by the same artist is another good test of detail retrieval because of the sheer amount of information packed into the mix. Great to hear this speakers ability of reproducing micro detail. Another track I really enjoyed on the Harbeths' was Rain on the Jimmy Sommerville Read My Lips on vinyl. There is one bass note deeper than the rest one third of the way through the track. It was there in all its glory on the Harbeths’. I really like the Anniversary range for its collective appeal, increase in sound quality and the special Olive Wood finish in this case. One of the cheapest speakers in my listening room but as an all-round package my favourite. Great review. Thank you for posting. I actually had a listen to Steve's (cyclopse) wonderful system a few days ago. The detail, everything really, that came out of the speakers was breathtaking. Such a big sound from such little speakers. I couldn't stop thinking about what I had heard for days afterwards, and I'm still thinking about it now. He played a variety of genres but I was most impressed when he played a couple of tracks from Hugh Masekela's 'Hope' vinyl album. This speaker defies logic. I cannot believe how good they sound. 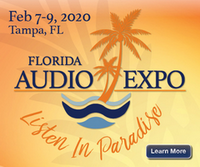 When I heard them at the Florida Audio Expo, I bought them on the spot from the distributor. Now they’re in my showroom and continuing to defy logic. I’ve heard similar sized speakers that cost many many multiples of these and they aren’t even in the same league frankly. great review! the harbeth P3s are terrific speakers. hearing them last year at AXPONA, i was amazed at the sound these little guys put out -- right in line with your description. I call them “ little giant “ monitors. Love my P3ESR in rosewood. Nice review Cyclopse and interesting 'foot note' Mike. Gotta keep them in mind for when I downsize in the not to distant future. These are similar findings to mine. 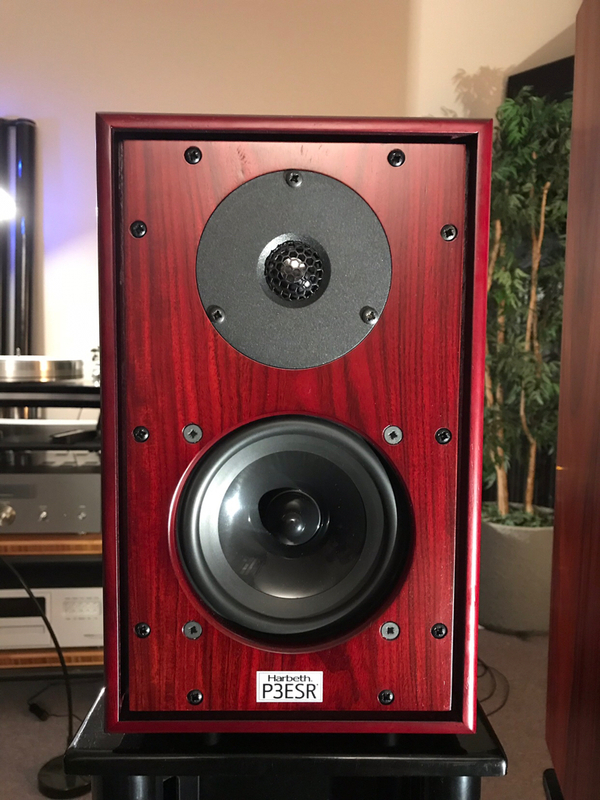 I was first introduced to this speaker at a local HiFi show a year ago. I could hear straight away there was something special going on. The sound is so BIG possibly due to the woofer cone. The cone material is Radial2 that is a proprietary polymer. I was speaking to Alan Shaw at the weekend (the designer). He showed me a spare driver and said they have made 20 thousand in house and had zero failures. The driver can really ‘throw’ vocals and makes others sound shut in. The history is that Radial was a funded research project. Alan Shaw was presented with 50 different versions and chose the one that went into production. The tweeter is a 30 year old off the shelf model but the drive units integrate well. Sounds gorgeous with Vitus integrated by the way. Thanks for the feedback Mike.